Clear savings with precise settings. Economic way to add intelligent control to the process. Components that are durable and of high quality. DEMECA maintenance serves you virtually around the clock. The inverter adjusts the speed precisely and limits the power flexibly, always according to the current situation. The correct dimensioning and intelligent control ensures the cost effectiveness and safety of the motor operation. We design and manufacture the control centers for all our equipment ourselves. Demeca products are always in use in challenging conditions, handling challenging materials in unmanned operations. That is why we have gained strong expertise in solving various material handling challenges by increasing the intelligence of the control. 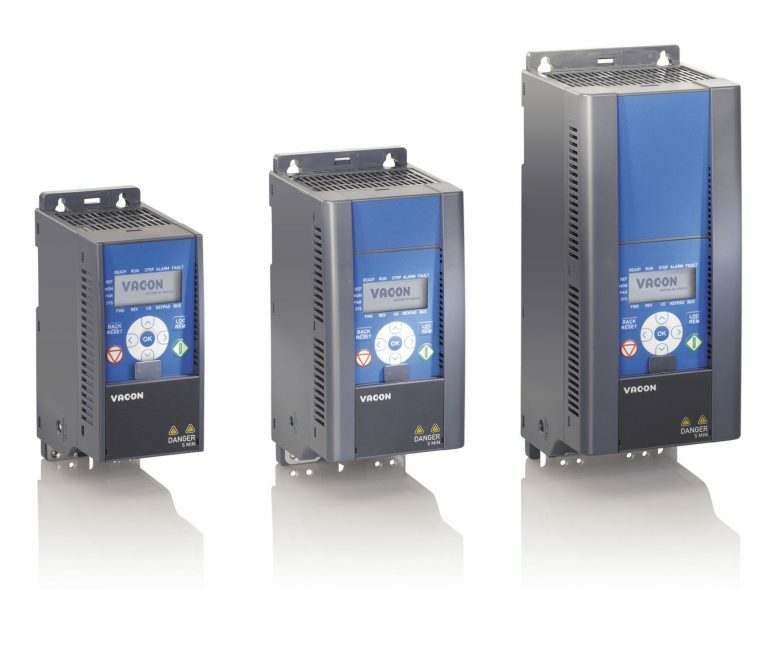 We build control systems cost effectively on Vacon inverters using their special applications, Beckhoff’s logic controllers and control panels. Intelligent control automatically detects jamming and disturbance situations. It avoids unnecessary breakdowns. The inverter controls the power supplied to the motor and controls the power it uses. Power is needed, but often it is also necessary to limit it. With the right dimensioning, right measurements and intelligent control, the safety of the motor drive can be easily increased. A motor equipped with a frequency inverter can easily be harnessed to control the entire process without adding more control components. The DEMECA Control Center ensures the most cost-effective way to make the process a smart, adjustable and easy to use unit. Demeca Control is comprised of a graphical user interface panel located in a barn office and of control centers located in animal spaces. Control panel controls all thee actuators with a few taps of touchscreen. The control views can be customized according to the customer’s wishes by collecting, for example, the most important status information of all devices on the same screen. If necessary, the user interface texts can be translated into any language. 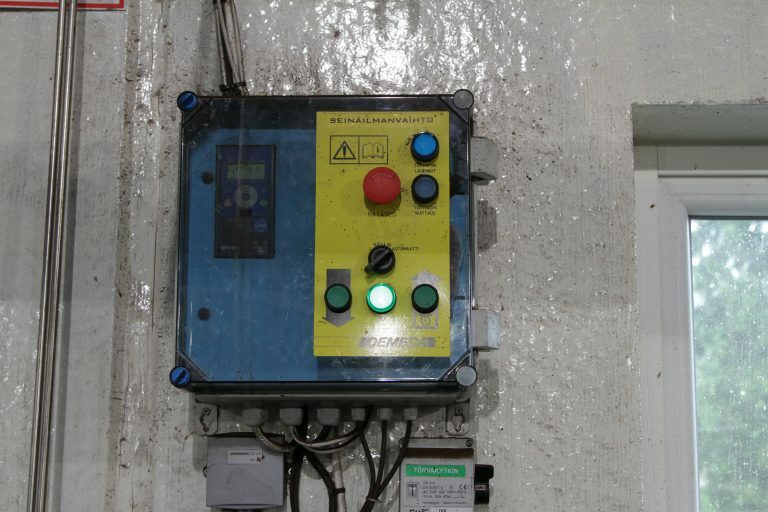 In addition to control over the touch panel, all devices can be run near actuators that enables maintenance and adjustment measures. 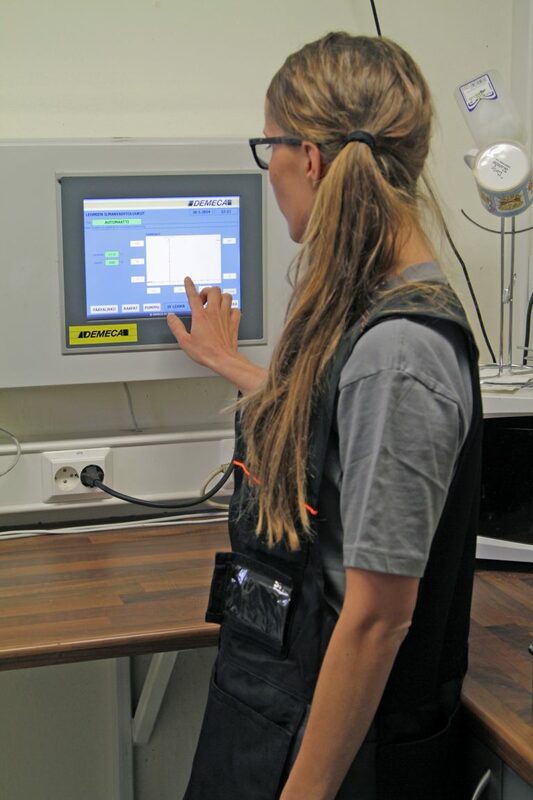 Demeca control centers are designed for applications where different measurements and control adjustments are needed to ensure smooth operation of the process. Depending on the motor, the centers are equipped with a suitable VACON frequency converter and a special software application. All centers include the necessary control buttons, the emergency stop button, and the external security circuit. We can tailor the control center with the software you need, very cost-effectively!